Jeffrey Gormley is a writer, editor and producer. He uses music, theatre processes, applied choreography, and ideas from science fiction to develop easygoing, supportive spaces for creative development. He was artist in residence in 2013. 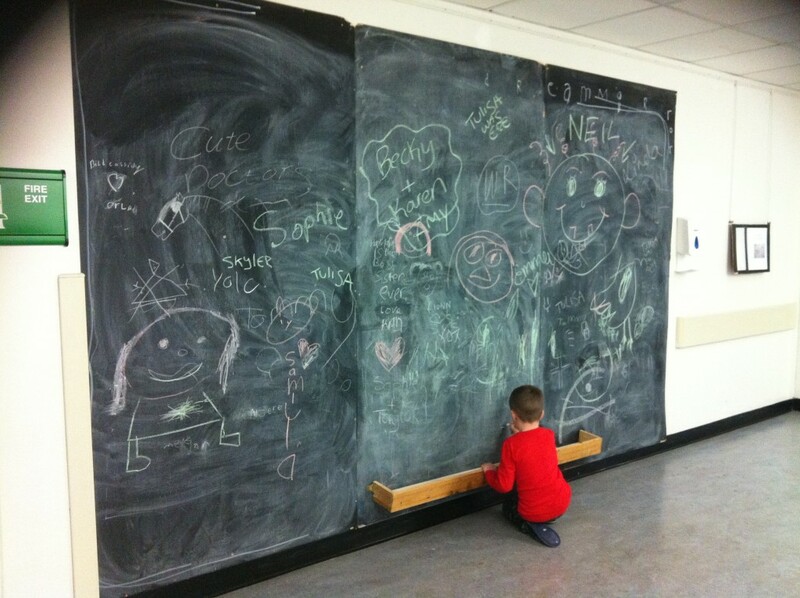 He spent some time in the main hospital concourse creating free flowing chalk drawings on a large blackboard attached to a moveable wall and in wards and waiting areas drawing on a small hand held blackboard. Through this process he had the opportunity to meet staff and patients. This triggered an idea to make available some kind of creative activity that does not require supervision or facilitation, is accessible 24/7, and is easy to interact with. As a result, Jeffrey installed blackboards in the day room in the Department of Psychiatry and the laboratory area of University Hospital Waterford. The boards serve as a surface for free expression that any patient or staff member can address with chalk as they see fit. This project was named dreamMirror. The exhibition dreamMirror, which came at the culmination of his residency, featured a series of blackboard artworks; one of which was installed permanently in the hospital outpatients waiting area after the exhibition for use by staff, patients and visitors to the hospital.